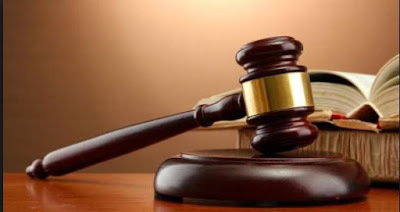 A 41-year-old housewife, Mrs. Ifeoma Ofuegbu, who allegedly sold her husband’s house without his consent was on Wednesday arraigned in an FCT High Court, Jabi. She, however, denied committing the offence; while the judge, Justice Vera Venda, ordered that she be remanded in Suleja Prisons, and adjourned the case until June 13 for the hearing of her bail application. Ofuegbu was faces charges bordering on cheating, criminal misappropriation and obtaining money by false pretext. The prosecutor, Mrs. Hadiza Esai, had told the court that the defendant allegedly sold the house situated at Dawaki area of the FCT for N25m. She said that the alleged offences contravened sections 320 and 308 of the Penal Code. Her lawyer, Mr. Chijioke Osuagwu, applied for her bail and argued that his client remains innocent until proved otherwise. “The motion is brought pursuant to sections 6(6), 35 and 36(5) and (6b) of the 1999 Constitution of the Federal Republic of Nigeria. “Our motion for bail is also backed by sections 158, 162, 165 of the Administration of Criminal Justice Act (ACJA) 2015. “Our prayers are contained in the motion paper; this motion is supported by four-paragraph affidavit and we rely on all the paragraphs, especially paragraph three,” he said. Osuagwu urged the court to exercise its discretion in granting the bail in favour of the applicant and drew the court’s attention to the deteriorating health of his client. The prosecutor did not oppose the bail application, but said that a plea bargain discussion was already ongoing with the defendant.